One of my favorite pictures of my grandmother and her siblings. 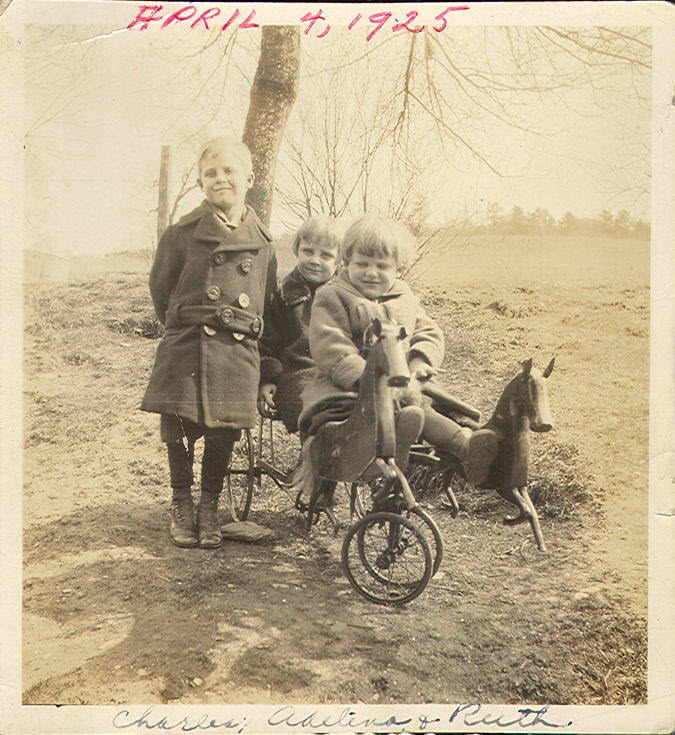 This picture was taken in 1925, probably at the farm they lived on in White Hall, Baltimore County, Maryland. They were the children of Angelo Louis Pisani and Ruth Augusta Henry. Charles Angelo Pisani, a World War II veteran, was born on 1 JUL 1919 in Baltimore City, Maryland. He died in White Hall, Baltimore County, Maryland on 12 MAR 1955 in a motorcycle accident. Margaret Adelina Pisani Bull Wilson (my grandmother), was born on 14 JAN 1921 in White Hall, Baltimore County, Maryland. She married and became a mother at 16, lost that son at 17 and then had 3 daughters. She died 27 MAR 2002 in Hampstead, Carroll County, Maryland. Ruth Louise Pisani Allen was born 8 JUL 1922 in White Hall, Baltimore County, Maryland. She married her husband right before he went overseas in World War II. They had one son. She passed away on 23 AUG 2015 at the age of 93.